What happened at VBS Bank? South Africa's government won’t bail out 13 municipalities that lost about R1.65bn they invested in VBS Mutual Bank before it collapsed in March, says Cooperative Governance and Traditional Affairs Minister Zweli Mkhize. "All these monies were wiped out," Mkhize said in an interview at Bloomberg’s Johannesburg offices on Friday. "What they have done is unacceptable and if that money is lost, it is actually lost to the fiscus and the communities that it was supposed to service." 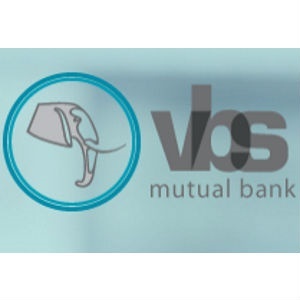 The Reserve Bank put VBS, one of South Africa’s smallest lenders, under administration in March after it was unable to repay money owed to municipalities. VBS took in large short-term deposits and used them to make long-term loans. Local councils, most of which are struggling to maintain services, are prohibited from placing ratepayer money into mutual banks. Mkhize said his department would conduct investigations with the Treasury into the processes at these municipalities while waiting for the Reserve Bank’s report on the matter. "They can’t charge anyone yet because they are waiting for the forensic report which will show who are the ones who need to be charged," he said. "At the end of the day, someone is going to be caught." More than 60% of the country’s 257 municipalities are categorised as dysfunctional or close to dysfunctional, according to Mkhize’s ministry. Councils are battling to pay debt of R16bn to state power utility Eskom because they are owed about R138bn by residents, businesses and other state entities, he said. "There is a culture of non-payment, where people just don’t pay for electricity," Mkhize said. "It’s something that needs to be dealt with." While the cash-strapped Eskom has threatened to cut power supply to some towns if they don’t settle their debt, the government won’t bail them out, Mkhize said. These municipalities "are in a debt trap, which they can’t get out of on their own," he said. "There has to be intervention. It’s going to come in the form of restructuring the debt and changing their capacity to collect revenue."